Spike is one lucky dragon, but his luck is about to run out, as he finds himself in the middle of a metaphorical war, when two ponies vie for his affection. The choice Spike makes could lead to a life of heaven, or regret. One decision, a lifetime of consequences… no pressure. 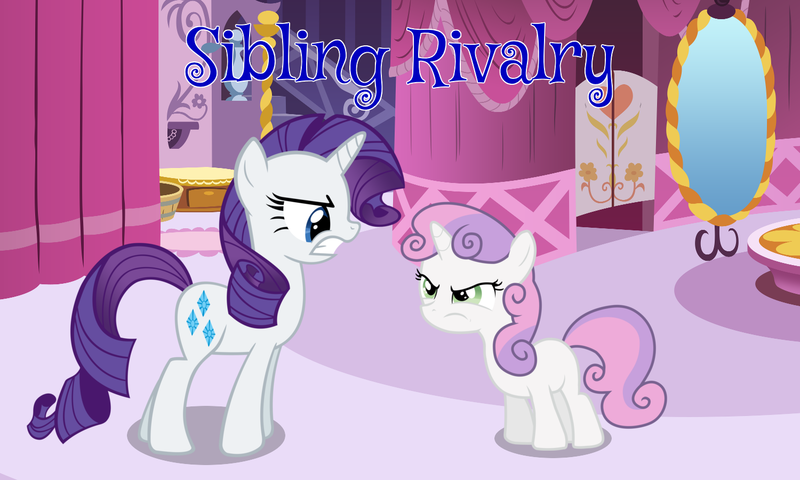 Sibling Rivalry is a My Little Pony: Friendship is Magic FanFiction. Image compiled from the following sources: Background, Rarity, Sweetie Belle, and Mystery Quest from Google Web Fonts.